Though a fair few exhibitions had already kicked off as part of the event, the 2013 Auckland Festival of Photography's ribbon was officially cut last night with the opening of Chen Haiwen's extensive Features of China show. 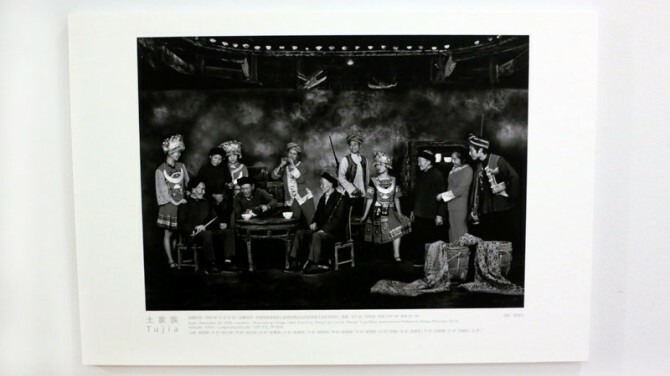 Hosted at Auckland central’s Aotea Centre, the exhibition is a black and white sample of Chen’s hugely ambitions project to photograph members of all 56 of China’s ethnic groups. 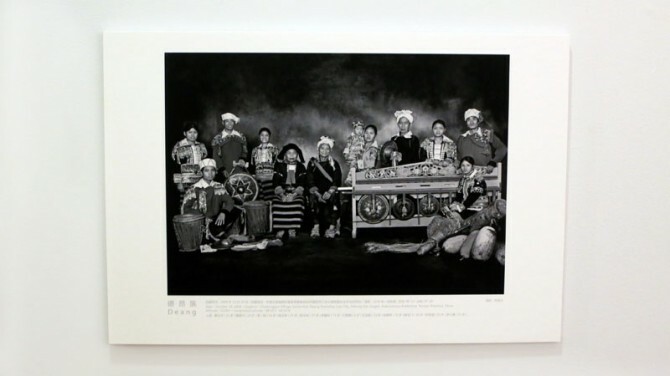 The result is a series of group portraits observed with such details that they act as much as a tour through China’s varied landscapes as a survey of its people. Exhibited as a winding maze of white display wall strategically packed into the centre’s modest fourth level, exploring the series is an absorbing and slightly surreal experience. Each of the prints is accompanied by a very brief description of the location (down to longitude and latitude), but the most of the information remains purely visual, the viewer left to discover detail and context. The project took place over twelve months in 2008-2009, with Chen and his crew organising shoots with 1125 different people and taking 57000 images. The resulting exhibition has since travelled to 25 cities across the globe. It comes to our doorstep through a cultural exchange between the Auckland Festival and the Pingyao International Festival of China, both members of the overarching Asia Pacific Photoforum. The exhibition runs until June 7 and if you’re in the area during that time I highly recommend making the effort to get to Features of China; the opportunity to see a work of such magnitude doesn’t come along often, especially one that is, like all the events of the festival, free to the public.